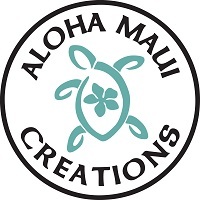 I am so excited to be introducing my new shop that is soon opening.Located in the Historic district of Wailuku on Maui. There is so much to do when opening a business. I've been painting the shop (very tired) and getting all my products ready for the opening. The shop is located at 50 Market Street in the Historic district of Wailuku on Maui. The storefront has adorable bay windows and so I have lots of decorating plans! Stay tuned for photos and the grand opening July 6, 2018 which is also the Wailuku Town First Friday celebration filled with people, food, music and dancing!